With apologies to those of you come looking for my weekly virtual walk in London but another detour is in order. 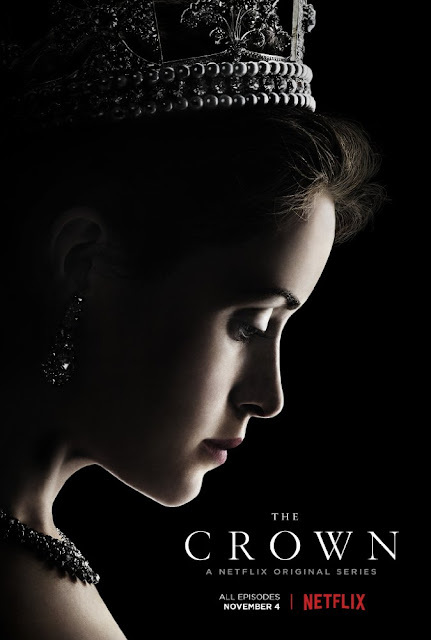 I feel duty bound to take my British Isles Friday space to make sure you’re aware of the new series The Crown. You won’t find it on Masterpiece. It’s not a BBC production. It’s a Netflix original and it’s Downton Abbey good. Most of you already know that I’m pretty proud of my British roots, and that starts with my birth in Richmond, on the outskirts of London, just a few days before Elizabeth’s coronation in June of 1953. I’ll save you the bother of doing the math, I’m 63. A very youthful 63, mind you:) My mother used to tell me they missed getting a year’s worth of free nappies because I came on May 28th instead of sticking around until June 2nd as she and my father had hoped. Sorry about that, mum! In spite of that accident of birth, they gave me Elizabeth as my middle name in the Queen's honor, anyway. In episode two, there’s a scene between the King and Princess Margaret singing Bewitched together at a house party at Sandringham that just ripped me to shreds. We know he’s quite ill at the time, it’s clear he’s dying, and the love between Margaret and her father, singing a song together is palpable and deeply moving. I remember my mother’s stories of the King being laid in state at Westminster, and being among the thousands of people—over 30,000—who came to pay their respects in the days before his funeral on February 15th, 1952. It would be almost a full year until Elizabeth, very much wearing the power of the throne, was officially crowned on June 2, 1952. 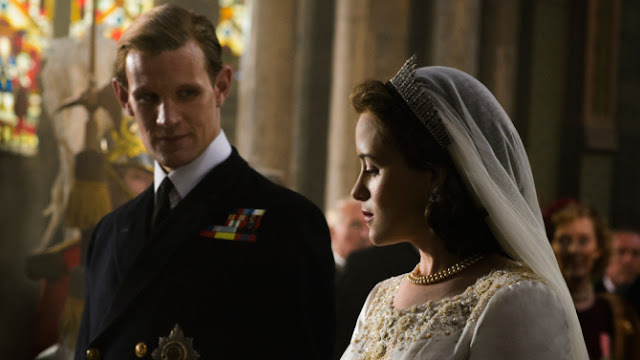 Matt Smith is the reluctant Prince Philip—he’d much rather be off as a commander in the Royal Navy or at least not play second fiddle to "the crown". 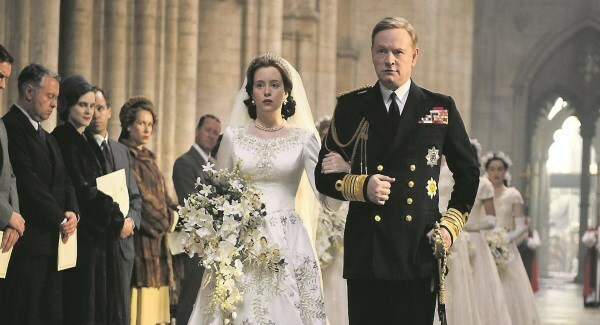 John Lithgow is Winston Churchill, a bit of a mess as the aging statesman, and Ben Miles is Peter Townsend, the King’ equerry—that’s an officer of the British royal household who attends or assists members of the royal family—who is also the 22 year old Margaret’s married lover. Knowing how young Elizabeth and Margaret were—25 and 22—really puts things in perspective. For those of us boomer types, do you remember being that young? You may have been climbing the corporate ladder, you may have decided to stay home and raise a family, but none of us held an empire on our young shoulders. How heavy the Crown! But how wonderful the program. Ten episodes, streaming on Netflix now, here in the US and the UK. Because I’m savoring, rather than bingeing the show, I haven’t progressed to Coronation Day which means eight more beautifully shot, masterfully written and acted episodes to go. Still feel like walking around London? Above Ground on the London Underground page. Check in with Joy Weese Moll and see what else is up for British Isles Friday. I wondered! But how funny, as much as I love the US version of House of Cards, some of that dialogue seems highly unlikely. One hopes, anyway! Put this at the top of my Netflix queue!